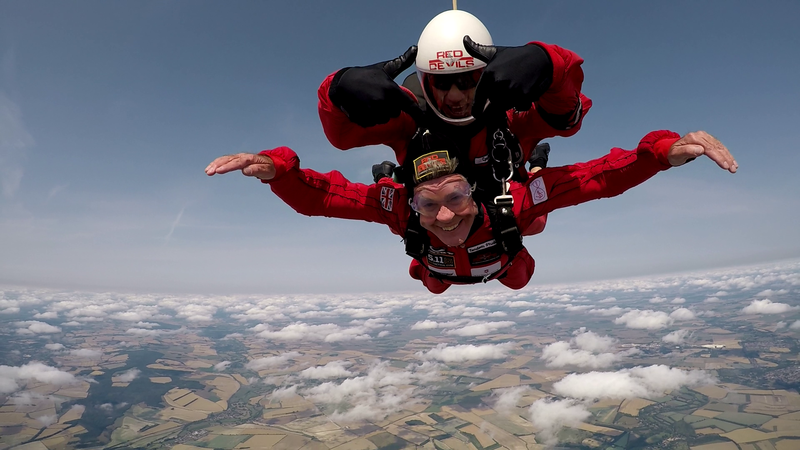 Last month, one of our very brave volunteers, Ian Talbot, skydived over Dorset in an effort to raise money for Citizens Advice Bournemouth and Poole and three other charities close to his heart. To date, Ian has raised £266 for Citizens Advice Bournemouth and Poole on top of the money he has raised for all the other charities he supports. Ian is a committed volunteer to Citizens Advice Bournemouth & Poole and recently supported the charity at our stand at this year’s Bournemouth Air Show. We can’t thank Ian enough for all he does for our charity and we’re amazed at the efforts he’ll go to in support of our charity and others.